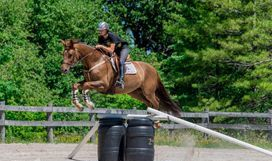 This lovely young horse has it all. Looks, athleticism and a super work ethic. 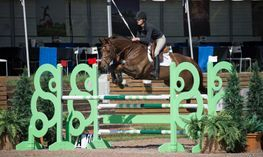 As (Ace) will excel in the equitation ring and J/A jumpers. 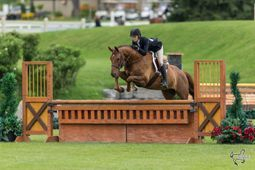 A true 3-ring horse with wins in the Jumper ring, Hunter Derby, Big Eq. Medals and Amateur Owner hunters. 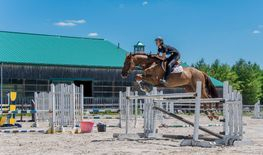 Bred for the Grand Prix ring with a mind and way of going suitable for all amateurs this young horse will take his future partner a long way. Priced to sell in the mid five figures.